Mr. Dickens And His Carol by Samantha Silva is just the ticket when you’ve finished listening to Tim Curry narrate A Christmas Carol, have already watched The Muppet Christmas Carol 10 times in December and just need something different. This book does not retell A Christmas Carol. Instead, it imagines the writing of the famous book and just what lead to it. It takes on Charles Dickens and really brings the author back to life. Samantha Silva’s Mr. Dickens And His Carol opens up with Charles Dickens and his wife about to give birth. Dickens’ publishers show up with bad news. His latest installment series isn’t selling too well. They are about to call in his debts. That is, unless he will agree to write a Christmas story within thirty days. Inspiration does not immediately strike. In fact, Dickens is kind of at a loss. Some drama ends up going down and his wife and kids head to Scotland because he’s not really holding up his bargain. It is at this point that he does find inspiration in a young woman named Eleanor Lovejoy and her son, Timothy. Honestly, this book is a pretty decent Christmas/winter book. It has that classic sort of feel to it. Plus, I am going to put out there that I was totally shocked by the twist. I would bet that if you are a more observant person you will see it coming. The writing flows really well. If anything, Silva does a great job hooking you and then keeping you there. This happens via transported — Mr. Dickens And His Carol does setting very well. The writing has this feeling of time and place to it. I loved it. Well, if we are thinking Victorian Buddy The Elf, this book is HERE FOR IT. Like, Dickens’ family is all about Christmas. They get gifts and love the toy store. There is a big party they put on every year. Plus there’s a lesson to be learned in the book. 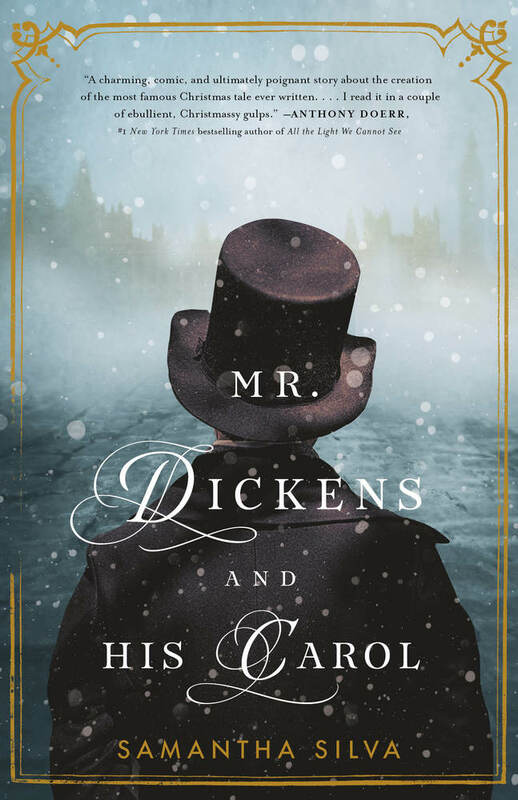 And with the story being centered around one of the biggest Christmas traditions (A Christmas Carol in all its iterations), this book is BURSTING AT THE SEAMS WITH SPIRIT, even if it takes Dickens awhile to find his.